Immerse yourself in the playful and imaginative world of LEGO® at LEGOLAND® Florida. Dedicated to entertaining families with children between the ages of 2 and 12, this highly interactive theme park features more than 50 rides, shows, and attractions all geared towards the LEGO builder in you. Now Open exclusively at LEGOLAND Florida Resort - THE LEGO® MOVIE™ WORLD! The newest expansion features three new rides and numerous attractions, all inspired by the characters and themes of the worldwide blockbuster THE LEGO® MOVIE™ and the exciting big-screen animated adventure sequel THE LEGO® MOVIE™ 2: The Second Part. Start your day of exploration at DUPLO® Valley. Here, your little ones can board the DUPLO Train and ride past countryside scenes of LEGO farms and fishing holes or hop on their own pint-sized tractors to plough the cornfields. Then, head on over to Pirates’ Cove, where you're treated to an entertaining live-action water ski and stunt show. Watch pirates perform water acrobatics on their jet skis while Princess Miranda's loyal LEGO men save the day. Next, visit the Land of Adventure and take a thrilling ride on the Coastersaurus, a wooden roller coaster that weaves its way in and out of a colourful landscape filled with life-sized LEGO dinosaurs. For a change of pace, venture to the Imagination Zone and put your building and technology skills to the test by creating cutting-edge computerised LEGO MINDSTORMS® robots. If you choose to purchase the combination ticket, make your way to LEGOLAND Water Park, where you can create and construct your very own LEGO raft, which you then set sail down the 1000-foot (305-metre) long river surrounded by your favourite LEGO friends. Spend a day discovering the rides, shows and attractions of LEGOLAND® Florida. Spend 2 days discovering the rides, shows and attractions of LEGOLAND® Florida. Your second visit must take place within 9 days of your first visit. Available on Thu., 25 Apr. Spend the day at LEGOLAND® Florida and LEGOLAND® Water Park. 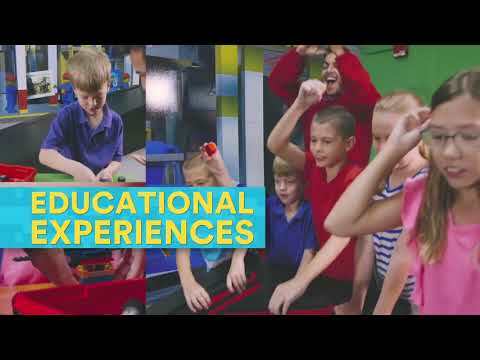 Spend 2 days at LEGOLAND® Florida and LEGOLAND® Water Park. Your second visit must take place within 9 days of your first visit. Children aged 14 and younger must be accompanied by an adult. LEGOLAND®'s shops, restaurants, show venues, and the majority of rides and attractions are wheelchair accessible. The park opens at 10 AM. Closing times vary throughout the year; please check before you go. Great experience fast and convenient!!! The rate offered by expedia was far less than at the gate!!! Terrific experience both for the water park and the general theme park. Very kid friendly and the lines move pretty quick so 15-20 minutes was the maximum wait for any particularly popular ride at the noon to 2 pm timeframe. I found the price of water a bit high, 3 dollars for a regular size bottle , so I would bring my own water next time. Otherwise terrific experience, this was our second trip in twelve months and we plan to return.